First, A happy 67th birthday to Roger Waters! As the Wall Tour nears, what better time to feature something I’ve been meaning to feature for a very long time. 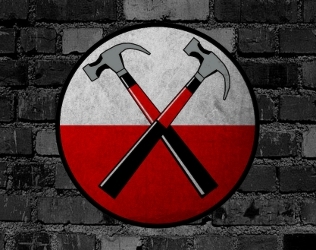 This is a unique mix and extended version of The Wall. Chad Hendrickson is the mastermind behind this project in which many different versions of songs are mixed together providing an interesting listen. I’m really digging this mix of The Wall. Thanks for uploading this! Doc, have you ever heard of The Final Cut in The Wall remix by Zolcaro? If so, have you ever listened to it? Have you ever thought of making a podcast out of it? I’m not familiar with it. You can find the Zolcaro on Neptune. Neptune? Neptune Pink Floyd? I’ll pass. Am I missing a subtext here Doc, I certainly didn’t mean to offend? no offence taken. the webmastewr hasn’t been very nice to me in the past although he’ll flat out deny it. plus, over the years I’ve grown some distaste for his clickbait practices.